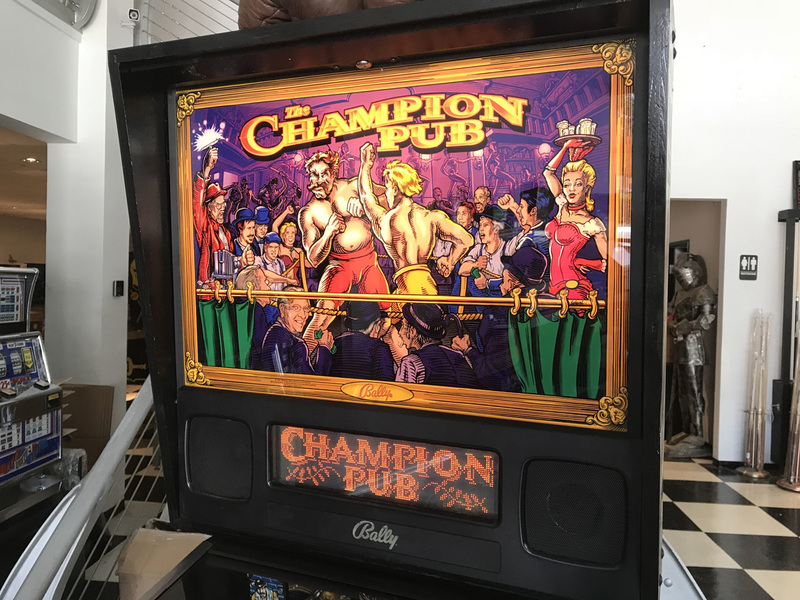 Champion Pub Pinball Machine * | Fun! 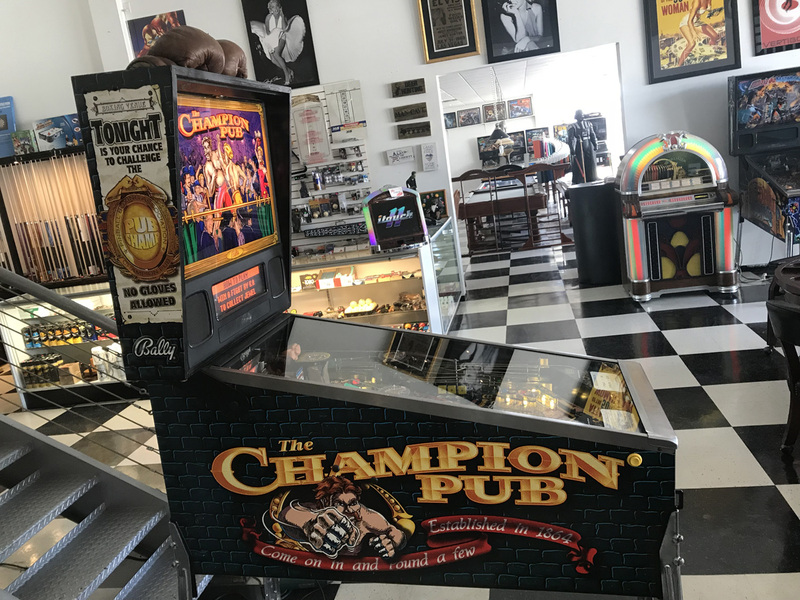 The gloves are off the moment you enter the rough-and-tumble world of Champion Pub. 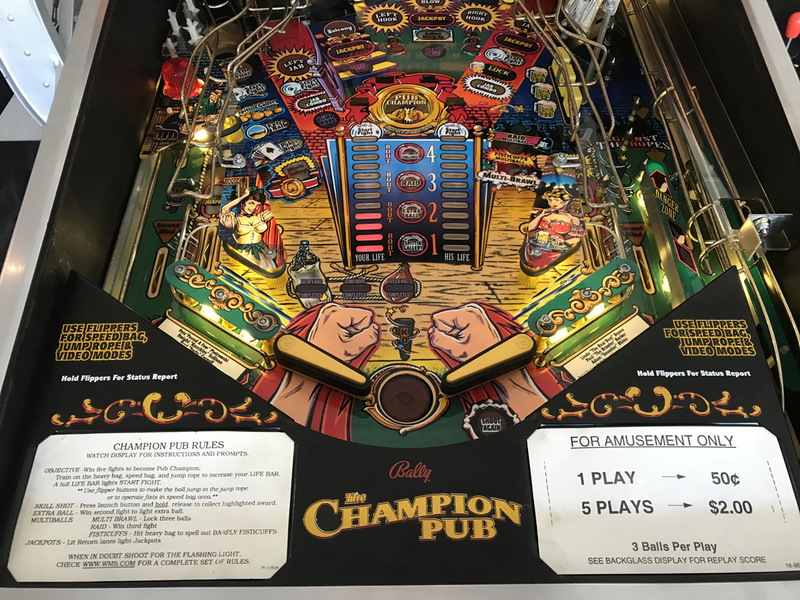 You’re “The Kid” training for your shot at the Pub Championship. 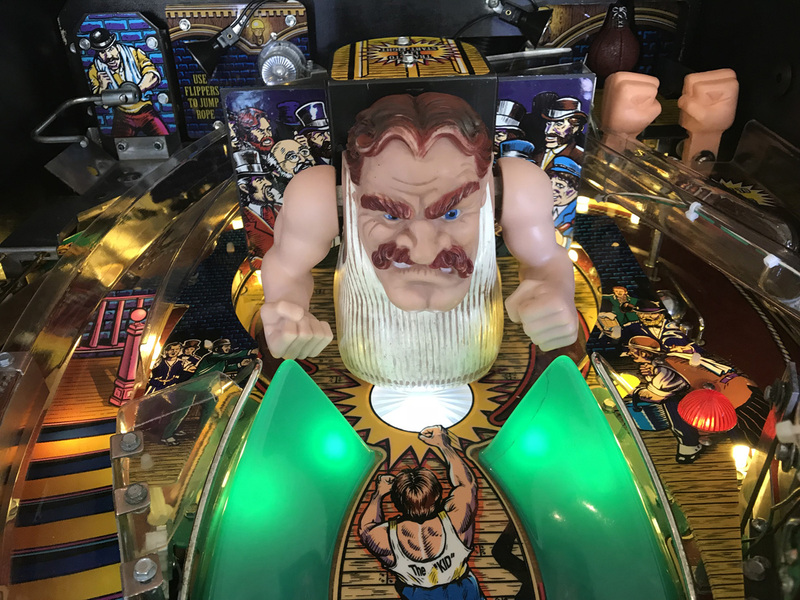 Using the flippers, you make the ball jump rope, punch the speed bag, and pound the heavy bag, all to heighten your strength and coordination. 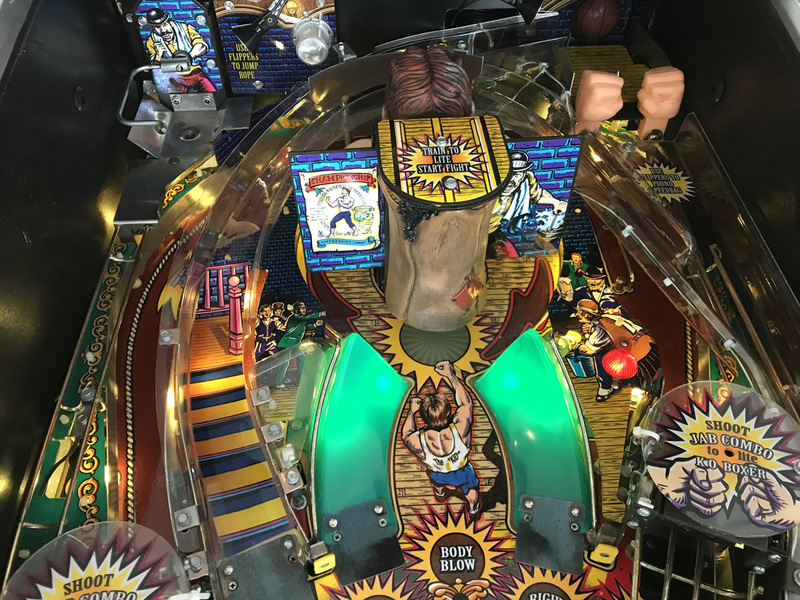 Once you’ve built up enough life bars, hit one of the “start fight” shots and get ready to rumble! 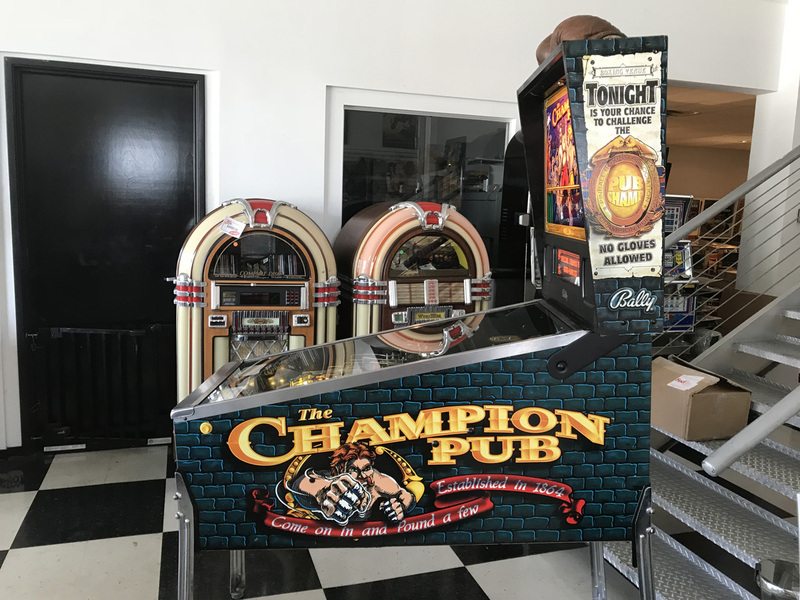 This pinball came to us from a private collector. 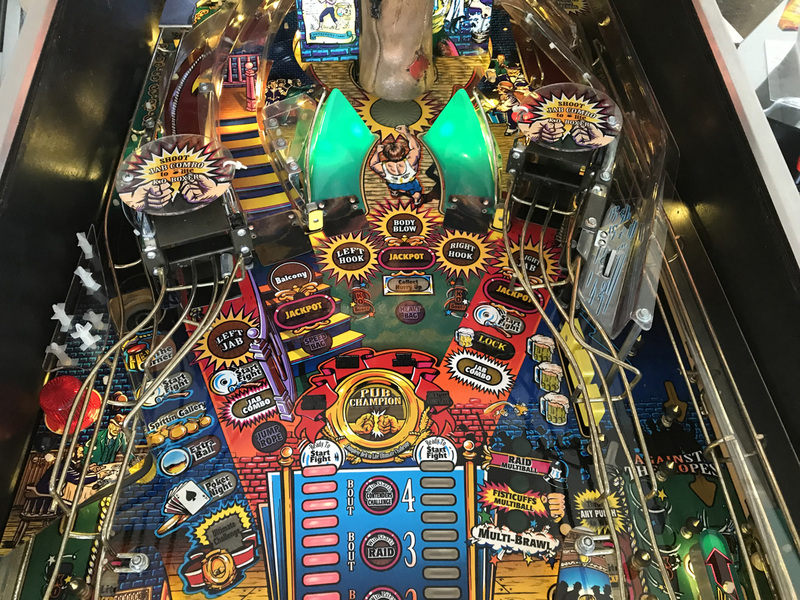 It is in excellent shape from the playfield to the cabinet. There are no broken plastics. 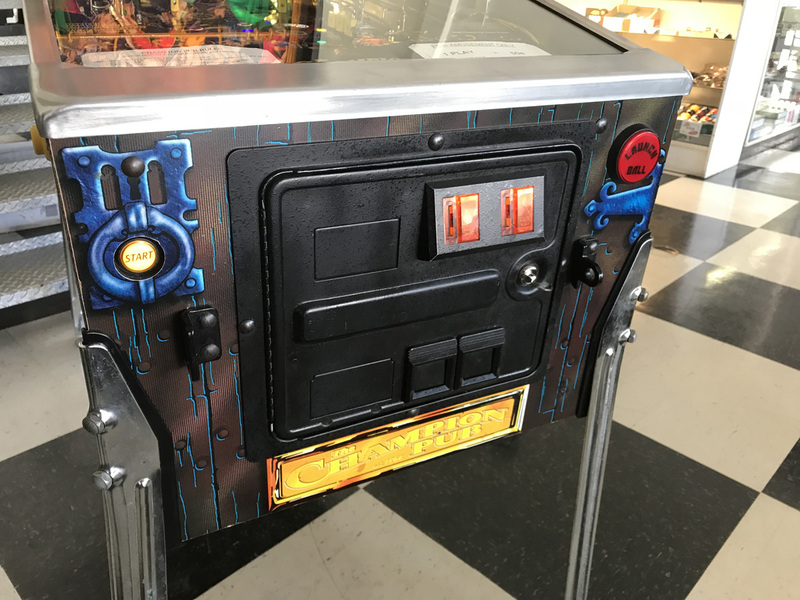 It plays great and all functions have been checked for proper operation. It has been shopped with needed rubbers changed and burnt bulbs replaced. 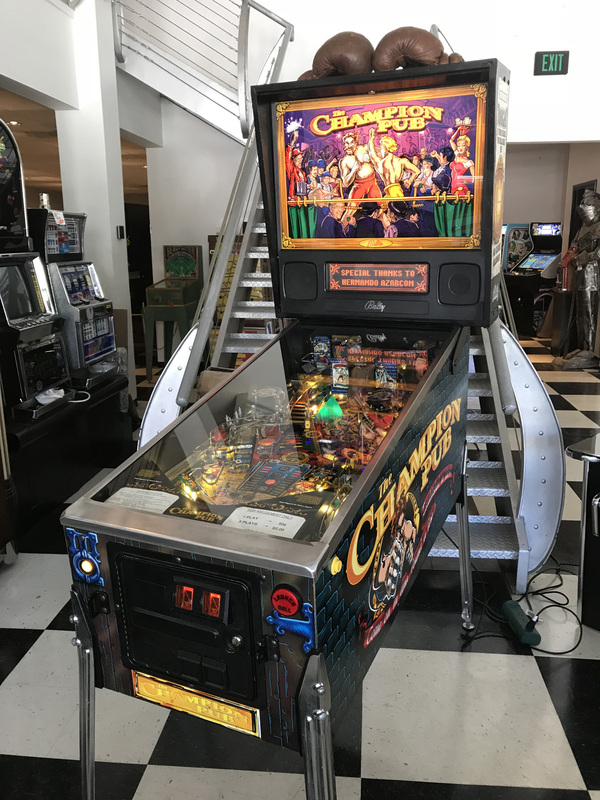 The playfield has been cleaned and polished. 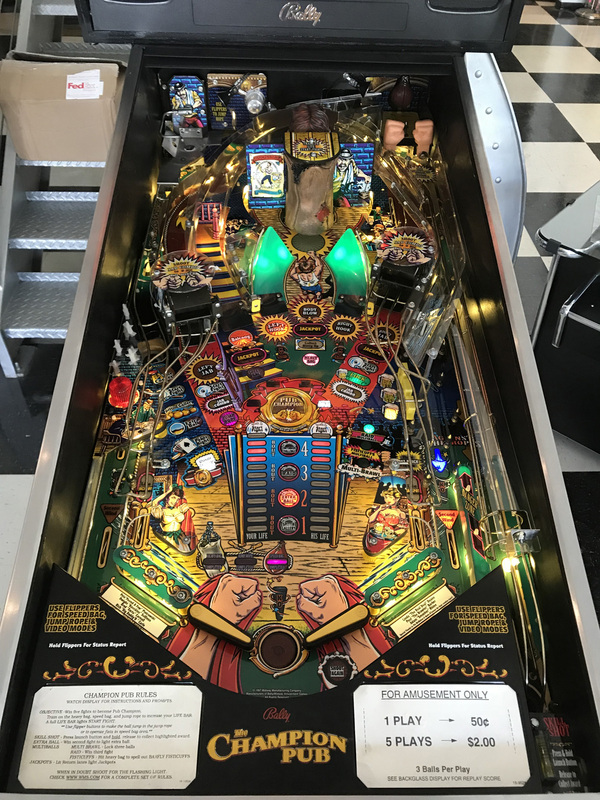 We have upgraded all lighting throughout this game to custom color coordinated LED’s. These LED’s look better, last longer than traditional incandescent bulbs and they consume less energy. We warranty the electronic PCBs for 30 days. Simply return free replacement or repair.